VIP was proud to participate in this year’s Central Valley Air Quality Coalition (CVAQ) Clear Air Action Day in Sacramento advocating for policies that clean our air and improve the health of our community’s most vulnerable citizens! 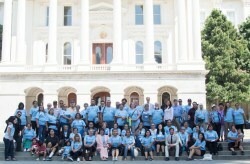 From ccejn.wordpress.com: On Tuesday, August 18, 2015, the Central Valley Air Quality Coalition (CVAQ) celebrated its 12th Annual Clean Air Action Day in Sacramento by organizing over 70 Valley advocates and residents representing all eight Valley counties and more than 20 organizations to meet with over 60 legislator offices in Sacramento. The Coalition’s annual event is aimed at educating legislators on the burden of air pollution in the Valley and asking for their support on clean air policies. The day was filled with clean air policy training and networking opportunities allowing residents to connect with field experts and like-minded advocates. The Day began with a jammed pack bus carrying excited residents who heard from community leaders about the importance of their voice and how to advocate for cleaner air for the San Joaquin Valley. Once in Sacramento attendees heard from technical experts on each of the bills and were broken out into teams to help prepare them for an afternoon of meetings with the legislators. To motivate the group before meeting with legislators, the group heard from Martha Guzman-Aceves, Deputy Legislative Affairs Secretary who spoke about Governor Brown’s dedication to clean air, future policy setting and the importance of Valley residents connecting with their legislators. For many Valley residents this was the first time meeting with a legislator. Nonetheless, residents were eager to share personal stories related to the legislation being discussed. For example, many participants felt strongly about opposing AB 590 because of its direct impact to disadvantaged communities that are already overburdened with pollution. Participants shared stories of the impacts of agricultural burning or biomass facilities in their communities. They urged legislators to protect them by opposing this bill, which would create more pollution and divert much needed funding to true clean air programs and instead invest cleaner alternative technology. The presence of Valley residents opposing legislation authored by their own representatives, such as in the case of AB 590, sent a strong message to the capitol. Almost every year, CVAQ opposes legislation from a Valley representative. It’s clear that many of the problems the Valley faces are a result of poor representation at the state level and lack of understanding of the environmental justice issues Valley residents face. Valley residents opposed this bill because it would subsidize biomass plants that result in increased pollution and would disproportionately impact low-income communities of color. However, advocates supported one of his other bills, AB 1420. Likewise, Henry Perea’s bill AB 156 was highly supported but his leadership on SB 350 lacked significantly and he ultimately led an amendment that weakened the rule altogether which was highly disappointing for the San Joaquin Valley as a whole. Throughout the course of the day countless personal stories from residents of all different races, social status, ages and communities were shared; it displayed the strength and diversity of our Valley and our coalition. About half of the participants were Spanish-speaking residents, which is truly representative of the San Joaquin Valley. Many participants shared they felt empowered and suggested having more of these types of events because of the numerous environmental issues facing their communities and the lack of opportunity to speak with their representatives about the needs of the Central Valley. This year marked the 12th successful event and although the day was long and everyone was tired in the end, everyone enthusiastically inquired about next steps and asked to be invited to next year’s event. 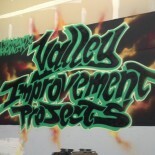 This entry was posted on October 22, 2015 by valleyimprovementprojects in Environmental Justice.